Homogenized Terrestrials’ Phillip Klampe returns to his cassette roots; this is his first full-length release on tape since the early 90s. Phil began his work in sound in the 80s during some of the most active times of the home taper scene, eventually collaborating with F.D.R. 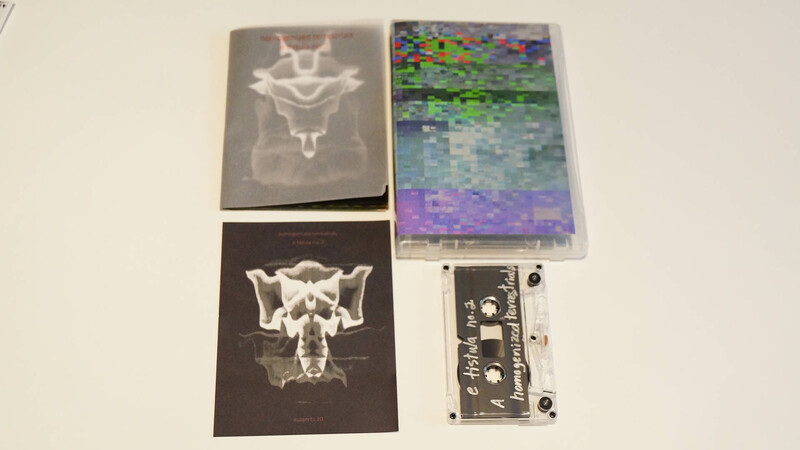 Tapes’ Brian Noring, Cause & Effect / HalTapes’ Hal McGee, Tapedrugs’ Charles Rice Goff III, and others on various cassette & CDR releases. To this day his work remains mysterious & beguiling. e tistula no. 2 is an album of obscure emotions in electronic tones and textures, blurred, agitated, and emphasized through use of processing, pacing and juxtaposition. The results are, as usual, strangely beautiful. 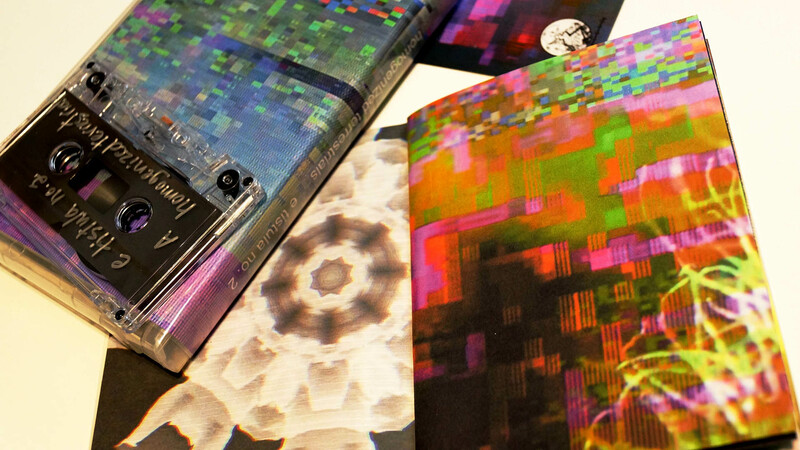 C60 w/ 16p full color art booklet by the artist. Klampe’s vision is further clarified as of late by surges in his video work. In his video imagery he brings to life poetic and often inscrutable images, sensations and events corresponding to his work in sound. Stills from recent video works make up the included booklet of full-color imagery. Ltd. 50 copies printed and assembled by the artist. Physical copy: $10 or more, postage paid. 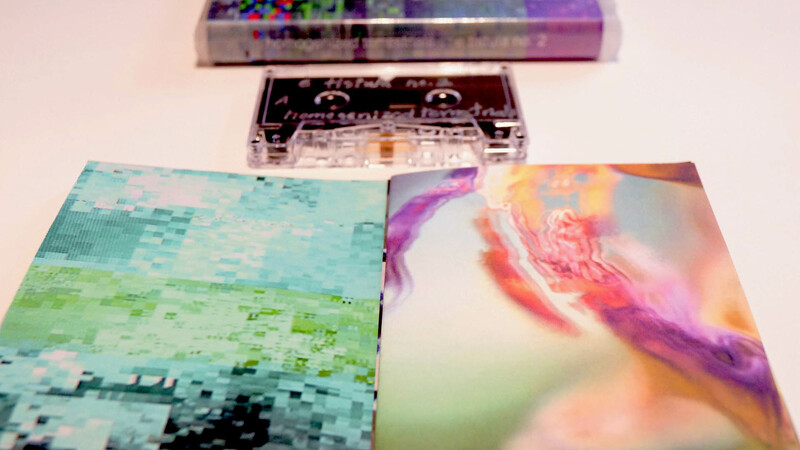 Order directly from the artist via his bandcamp page. that the Homogenized Terrestrials is a great project and living for far too long under the radar. Only a few handfuls of this have been made, while it deserves, I think, a much wider distribution.